We know what makes these different cuisines so special: it is not only the best ingredients, but also the best condiments from all over the world. 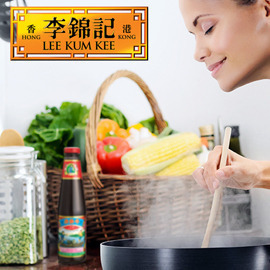 Lee Kum Kee represents the highest standard of Asia’s best condiments, especially for Chinese cuisine. Think about the rich and diverse flavors of Chinese cuisine, the sweetness and sourness, or the freshness and spiciness, the layers of taste that are built and enhanced by a wide range of Chinese condiments (like oyster sauce, soy sauce, chili sauce, etc. ), which Lee Kum Kee has been dedicatedly preparing for 126 years. Through an appealing, heart-warming or entertaining video/animation, show us how an authentic touch of Lee Kum Kee's Chinese condiments can create a memorable, joyful and inspirational food moment. We are happy to announce winners of Lee Kum Kee video contest!